Haigaz ‘Haig’ Yossoulkanian; born 2nd of October, 1986 & Raffi Nersessian; born 2nd of September, 1985. Both to a Lebanese-Armenian family. Since the early stages of their teenage years (around 1998) they discovered their passion towards a different genre of music: Trance! For a complete decade the nature of Trance lived inside them, from attending gigs and major events to listening every single day, trying to figure out the aspects & elements of this particular style of music. “We wish we had done it earlier, we didn’t have the capabilities back then…but it’s never too late”. It’s the common quote they always say to each other. As the days were rolling, they came up with the idea of having their own radio show ‘Sensual Bliss’. So that was it! ‘Haig & Raffi’ Project was born in April 2008 with a radio show on Afterhours fm, which then got syndicated on Trance fm & Trancesonic fm also. After starting the DJ-ing career, they decided to launch the production part of them too. Despite all the difficulties at first, they managed to dig through and continue what they’ve already started. Already having airplays on Manuel Le Saux’s Top 20 & DJ Shah’s Magic Island; and huge supports & ratings from the scene’s top acts…they can assure you this is just the beginning. 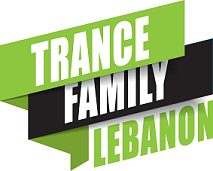 In 2013, a major decision & contribution was made: The launching of their very own record label: ‘Sensual Bliss Recordings’ boasting to be the 1st Lebanese independent Trance label.